jennifreckles crafts: SPOILER ALERT FOR EMILY! Don't look if you don't want to know what I sent! The package is in the mail. I just can't wait to show what's in it. 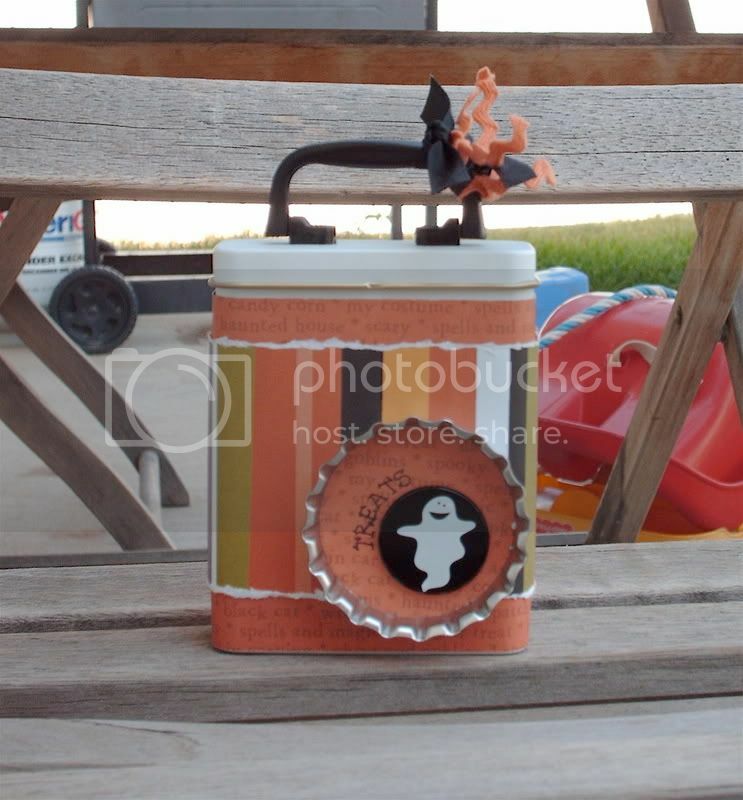 Because I haven't been crafty lately and if I post about this, I seem crafty. And that's what's important, right? I'm trying to waste space so none of the pictures will appear at the bottom of the screen. So that scrolling is required. I have a sister like that. The fear is just that it will look better in pictures than in real life. Or that it will look crappy in pictures and she'll just throw it away unopened. Of course, there's the apron. 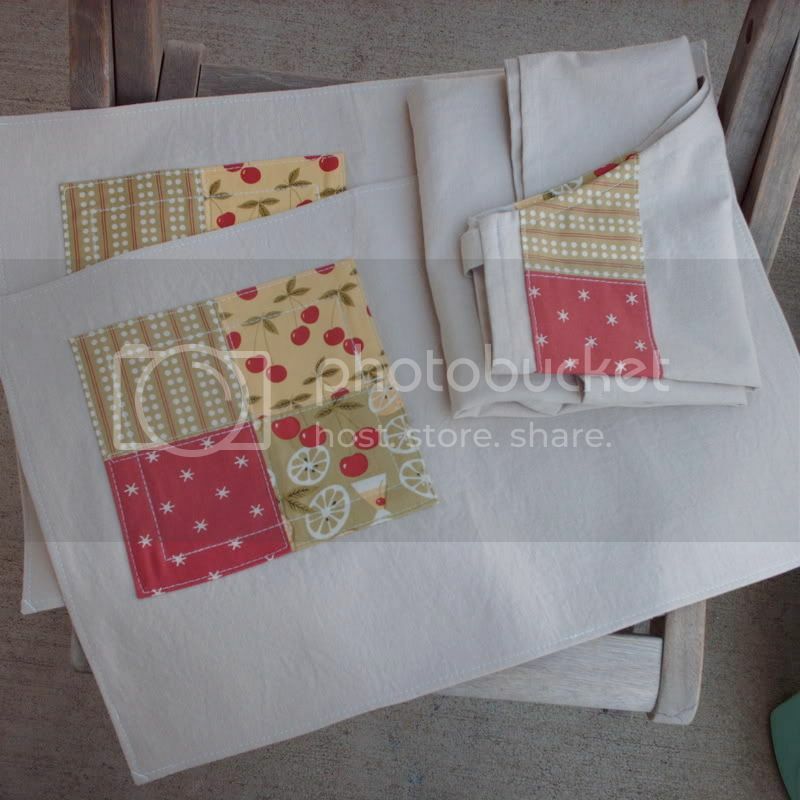 I also included two place mats I made when I made the apron. I love the Elsie's kitchen fabric I used on the patchwork and hope they will be useful, even if they are a touch wonky. There's the panda, which I started calling Earl, made of acrylic felt, because that's what I had. And an accordion album. Because I love albums and am determined to scrapbook again, soon. And Dr. Pepper Lip Smackers. Because I'm becoming obsessed with it and the Peppery goodness. 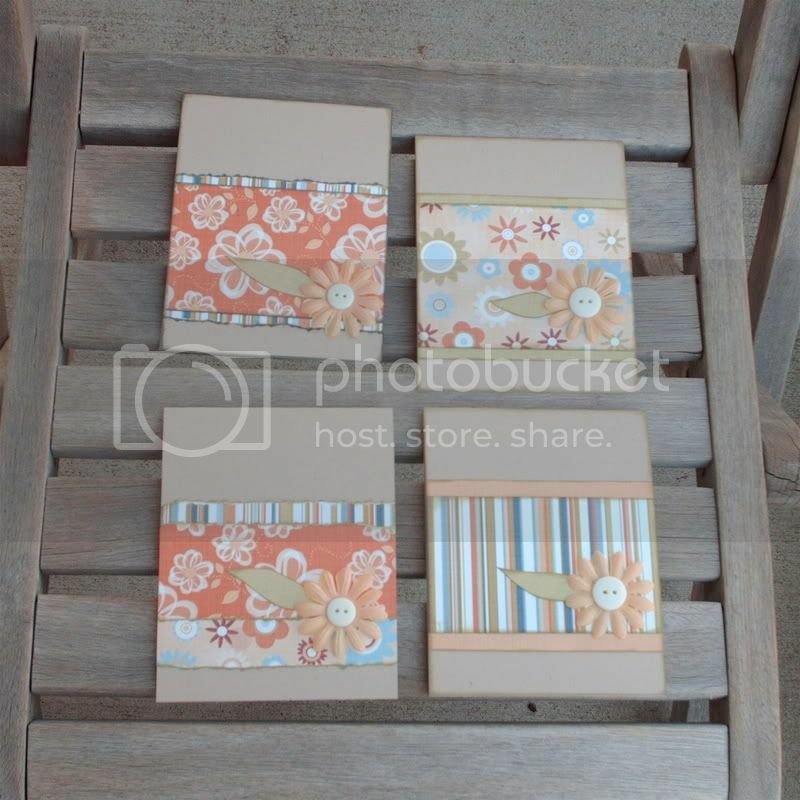 Four handmade note cards using some of my favorite Chatterbox paper. I used orange paper? Me? That is SUCH a surprise. And a Halloween treat box filled with Halloween M&Ms. My son kept telling me that he was "M&M hungry" when I was filling the box. Hope 'Joyful Abode' enjoys this stuff! Looks like some wonderful goodies are on their way to Joyful Abode! Congrats to the winner! Lucky you! I got them today! Thank you SO MUCH! I love love love love LOVE the placemats so much, and your cards are delightful. Of course, everything is wonderful, but I think those are my favorites.